Walton Homes has started construction on an exclusive four-property sister site to its luxury development in Abbots Bromley. 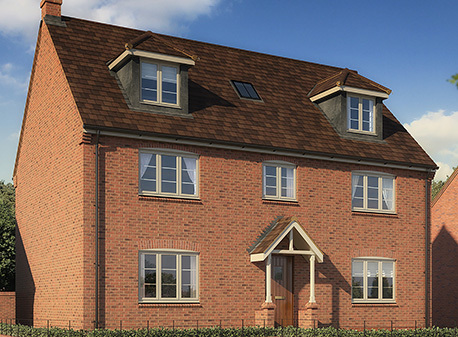 The house-builder secured permission to add an additional phase at Ivy Manor earlier this year. Interest in the idyllic site had surpassed expectation, said director Amy Summerton, and the business had sought permission to add a small number of new properties to meet demand. Amy said: “As with all of our developments, much of Ivy Manor’s charm was the fact that it was such a small, select and beautifully designed site. With the current build consisting of just 13 properties, we wanted to ensure that it maintained that exclusive quality. “But with just two properties currently available and a lengthy list of potential buyers for four- and five-bedroom detached family homes, we felt that we could introduce another phase at the site. “We’ve now secured four further plots, and work on The Grange At Ivy Manor is underway. As with the existing site, these properties will be sympathetically designed to ensure they are in-keeping with the beautiful countryside village setting and will each have a contemporary and stylish interior carefully planned to suit couples and families alike,” she said. Amy added that the four new four-bedroom properties are expected to be on the market in the coming weeks. It is the latest in a number of new residential sites that the family-run developer is overseeing, with other projects being underway in Great Haywood and Stanley Common, Derbyshire, and with land parcels being purchased in Stafford with a view to launching three new developments in and close to the town. For more information on The Grange At Ivy Manor, contact the existing Walton Homes marketing suite on 01283 841781 or visit the site between 11am and 5 pm Thursday to Monday.